The workshop in parent/teacher communication was scheduled for the noon hour in the lounge of the music building. We were at a week-long summer Suzuki institute and the bucolic college campus was crawling with parents and teachers, so I got there a few minutes early, assuming it would be packed. As it turned out, there was plenty of room for the handful of parents who showed up to spread out and each our lunches. The facilitator was one of the violin instructors at the institute. She didn’t have an agenda, she said. She just wanted to provide a low-key setting for an informal rap session. I almost choked on my peanut butter sandwich. I don’t know what I was expecting from the discussion—politely worded opinions on whether it was okay to call a teacher with questions during the week? Tips on the best ways to enforce good practice habits at home? But the tone of this meeting felt suddenly confrontational. The man’s wife was staring miserably at her lap. Clearly there was some issue in their household. The teacher’s eyes widened, but she kept her cool. She asked him to elaborate. On one hand, I hated the crude and reductive way in which the father viewed his children’s lessons, as if the teacher were punching some kind of time clock. On the other hand, his distress seemed genuine. He and his wife had made a substantial commitment of their family’s resources so that their three kids could study music. He feared that part of their sacrifice was going to waste. His fear seemed reasonable. I opened my notebook to formulate my thoughts for a comment, but it was too late. The teacher was off and running, filled with righteous indignation, recounting a story of her own. In her studio, she said, there was a parent who brought a portable alarm clock to every lesson. At the beginning of the lesson, he made a point of setting the clock down in the middle of the table, an unspoken reminder that he was timing every minute of the lesson. To get his money's worth. As if she were an assembly worker in a widget factory. As if she would cheat him out of precious, pre-paid minutes. His behavior was demeaning to her, a professional teaching artist with a master’s degree and thirty years of experience. She had to struggle against letting his boorish attitude affect her relationship with her student, his child. As the father and the teacher glared at each other from across the coffee table. I considered my own behavior during lessons. I loved sitting in on my children’s music lessons—these hours were the highlight of my week—and yet I frequently glanced at my watch. Why? Because I have four kids and sometimes I was worrying that my oldest had made it home from school an into the empty house on her own by 4:20, as she was supposed to. Or because I was thinking about some other calendar point in our busy day. Most often, I was merely pacing the hour because I savored it so much, the same way I check the playback counter several times during an episode of Mad Men. Fifteen more minutes left! Great! Of course, my children's teacher had no way of knowing what was going through my head. What if he saw me looking at my watch and thought I was clocking him? Or what if he assumed I was bored and couldn’t wait for things to end? Truth be told, often the lessons ran overtime; once in a rare while they ran short. On average, he gave us more time than we paid for because he was a passionate, focused teacher. He was not a clock-watcher. In the years following that Suzuki institute workshop, I would sit in on thousands more hours of music lessons and coachings. Usually I’d be alert, taking notes like a faithful, mute recording secretary. Occasionally I’d be so exhausted that I would begin to nod off in my chair; sometimes I’d be texting quietly to deal with a family emergency. Sometimes I’d be grading papers or clicking away at my laptop, working on a deadline—not because I wasn't interested in lesson but because I was squeezed for time and had no choice. Just like my watch-watching, any of these innocent behaviors could be considered obnoxious by a teacher who didn't understand the reasons behind them. Over time, I’ve become good friends with several music teachers who have shared with me their perspective on the irritating behavior of my fellow parents. Sometimes I feel appalled on the teachers' behalf. Other times, I recognize myself in their description of other parents, and it's like catching an unflattering glimpse of oneself in a mirror—ouch! Did I really do that? But sometimes I want to defend the maligned parents because, after all, I understand the stresses of parenthood. We fall asleep in our chairs out of fatigue, not rudeness. We request make-up lessons because our schedules are frantic and outside of our own control, not out of disrespect or an urge to exploit. Meanwhile, funny thing about clocks. I’ve noticed that colleges no longer install them in classrooms. I don't know why—to save money? Because everything is digital nowadays? When I'm teaching a seminar workshop I need to pace the discussion in order to devote enough time to each of the scheduled critiques. But when my students see me looking at my watch they become self-conscious; they talk faster and lose the thread of their thoughts. 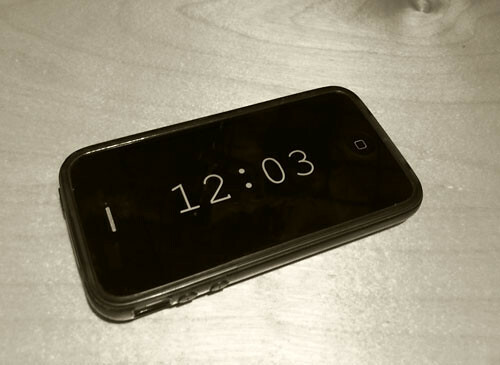 I've downloaded a nifty phone app that looks just like a old-fashioned digital alarm clock face. At the beginning of every class I place my "clock" on the table where all of us can see it. I make sure to tell the students (who are forbidden to use their own cellphones during class) the purpose of the "clock." It's not to measure the length of their answers, or to time them and cut them off in the middle of a thought. It's not because I'm bored with them and can't wait to race off to the next great thing. The clock is just a tool, that's all. It helps me ensure that each of them has an opportunity to hear and to be heard. As a violin teacher myself, I was already feeling righteous indignation towards the man until reading that the teacher was consistently as much as ten minutes late starting his kids' lessons, which had to end on the dot. Running overtime once in awhile is understandable, but if it's a consistent practice, that is disrespectful to the students whose lessons follow and whose parents have made the effort to get them there on time. If the overtime lesson is due to a previous student running late, then it is that student who should pay the price of a shorter lesson. If it is because the teacher cannot cover everything she wants to in a lesson, then the lesson length needs to be adjusted. Either way, it is the teacher's responsibility to remedy the problem. The father in the story may have expressed himself antagonistically, but he had a valid complaint. And how about all the stories about the great Dorothy DeLay -- sometimes she'd run a DAY or two late, as I understand it! I appreciate your bringing these issues up. I had a boss in a previous job (not in music) who was very busy and perpetually late. She didn't keep a clock in her office and rarely checked the time herself. She outsourced the task of keeping track of the time to others, and it caused a lot of stress if you were one of the outsource-ees. I gathered that she had some philosophical objection to keeping a clock in her office. Not sure why, maybe it was an anti-clock-watching attitude like you are describing here. But in any case, I became a lot more sympathetic to clock watchers after working for this woman. Her lack of consideration for other people's time was alienating and really difficult to deal with. It was even one of the reasons I left the job. I hope the experience has made me more tolerant and appreciative and appreciative of music teachers who stick to their schedules, and who even watch the clock. Ultimately it makes my life easier if we both want the same thing: a sane and predictable schedule. Thank you for your well-balanced view and thoughtful writing! If music is time divided by sound, it may be ironic to see that some violin teachers routinely running late for lessons or other appointments. Among other business professions, tardiness is unprofessional and disrespectful, period. No wonder people from non-musical world tend to use the same measure when it comes to paid violin teachers. In a sense they are viewing the violin teachers as equal professional colleagues, notwithstanding comparing apples and oranges. On the other hand, my life has become much less stressful once I accepted the fact that not all occasions require the same level of punctuality. It's reasonable to assume that the punctuality with regulated deadlines, a flight, or a business meeting is very different from that of a lunch date with a friend or a violin lesson, so I'm not going to apply the same standards of punctuality to different appointments. Given how much demand of time violin teachers have to face, it is quite understandable if my teacher at times can’t keep up with her schedule. Also an interesting fact is that, even if one is generally punctual, it can still be offensive and demeaning to be watched and timed when one is performing on a job. Maybe we just don’t like to be constantly monitored regardless who we are and how we are doing. While it is obvious that to be respectful and fair to others, it has to come from within ourselves to form a good habit of punctuality, it is equally important to cut people some slack when their actions are not meeting our expectations. For me, carry an iPod and a knitting project with me all the time wherever I go also helps. As a teacher, I can definitely sympathize with how hard it is to end lessons right on time, especially if there's something I really feel I need to cover with a student. 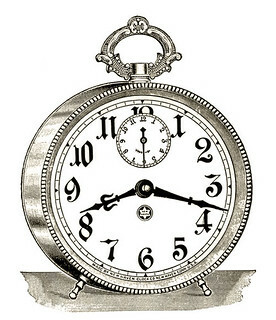 I do keep a clock in my teaching studio, and my general policy is that if my students arrive late, I still end on time - that is, if their lesson starts at 4 pm and they arrive at 4:10, they only get a 50 minute lesson rather than an hour. I do occasionally go over, IF I don't have another student waiting, and I always ask the parent if they have an extra 10 minutes to spare before I do. And, in terms of demanding schedules, I think it's a little unfair to just pin it on Suzuki violin. What about theater activities that require long rehearsals on a daily basis? Or sports that have practice a few times a week and then games or tournaments on the weekend? Any activity takes a certain amount of time and dedication if one is to do it well. Yeah, this is tough...and DEFINITELY not confined to the Suzuki world. Somehow people are much more understanding of doctors, specialists, dentists, etc taking more time then planned, but professional musicians and teachers are on a shorter leash. I think there are a lot of factors to consider. Firstly- parents, I feel that the "squeezing in" of lessons has to be avoided if possible. Music lessons are a considerable commitment, and need to be part of your schedule; not tacked on to an already full schedule. Apart from that, I'm someone who has long benefitted from the "hour +" lesson. I'd say at least half of the lessons I received throughout my life went longer then scheduled (without charge), to my own benefit. We never made a lesson longer because there was time wasted, it was usually spent furthering a point, or going over important detail. By keeping your teacher on a strict time clock where not even 15 minutes can be spared, you're kind of robbing your teacher's right to spend a little extra time with your children when the teacher (by the way, who is a trained specialist in their instrument and is a professional) feels they need it. As teacher, I love taking extra time with my students if the day allows and there is a point they're just at the brink of 'getting.' However, that's also within limits: If the student's late, I don't end late, and I don't spend extra time when my next student is waiting. On the other hand, this is a different era. People are accustomed to getting exactly what they need, either immediately, or very shortly after, they make the request. Schedules are extremely strict. As teachers, we need to respect also that not all families are alike-- childcare is expensive, as is the cost of violin lessons, instruments, and transportation - not to mention the needs of other siblings / family members. It's a balancing act, and there needs to be understanding on both sides. I think schedules are getting stricter, in part, because of the rise of families with two parents who work outside the home. Most non-freelance jobs--most jobs really--just aren't that flexible and there isn't a parent with flexible time to spare if they can't count on an appointment starting and ending at a particular time. I also wondered if the teacher counting her remuneration from the clock-watcher would be considered "boorish" or pecuniarily "crude". Putting aside for a moment that this vignette is obviously just another thematic device, the unhappy thought did occur to me that the character's real issue was with his wife: why did she seemingly allow the previous lessons to habitually run over time and their own children's to be interrupted? Eric, I hope you were joking about the wife. LOL. Some people are more tolerant than others and in a world that is not in shortage of conflicts, knowing when not to pick a fight is much to be desired, wouldn't you agree? Yixi, Karen#1 first alluded to "some issue in their household", I just elaborated an obvious interpretation of it, as one may do upon reading any story; there are always things beneath the surface. Family problems are no laughing matter really. I agree wholeheartedly with your second comment yet do not understand the reason you have added it here; unless it is the same reason I wanted to comment. What my daughter describes is a phenomenon I've observed time and again at masterclasses. The teacher becomes absorbed in the passion of the teaching moment and loses track of time. Some teachers appoint a timekeeper (and then generally override the time-keeper because it's so difficult to stop a great teaching moment cold.) It's annoying to be the second, third, or fourth person on the docket. But, to be honest, I'll take a passionate teacher who is giving 100% of their mental energy over a cool-headed time-conscious teacher. That said, I am the latter kind of teacher. In part this is because I have a good innate sense of time but also because I've worked consciously on my timekeeping skills. I teach 3-hour long writing workshops in which, I believe, the peer critique is as instructive to the critic as to the writer. So it almost doesn't matter which piece we're discussing; everyone benefits. It is more similar to a masterclass than a private lesson. But I can't bear the thought of a student, even a weaker student, leaving the session feeling that his piece was not important enough to merit a share of the discussion. Hence, I keep my eye on that clock and find frequently myself saying, "...After this last comment, we will need to move on." As a parent of young violin students, I was aware that my kids' teachers were generous with their time, often running over. If my kids were the last students of the day, or the last students before lunch their lesson time could run over more than 50%. On more than occasion, my daughter's teacher's partner would holler up the stairs, "Are you ever going to stop teaching!?. Almost every teacher, over many, many years of lessons, ran a bit late in both directions. We just factored that into our scheduling. Not to do so would be to bang our heads against the wall. Sometimes my kids' lessons might start late and end abruptly on the hour. Always for a good reason: the kid after was preparing for an audition and needed every minute. The teacher had to get to a doctor's appointment. To address the issue of the family at that Suzuki workshop many years ago: I don't know the particulars of their situation, but from the little I observed, my sympathies come out on the side of the teacher. If she chronically ran ten minutes over, the family should have factored that in and not scheduled a lesson knowing they would need to leave on the dot for soccer practice. It's just common sense. Eric, Karen R. has answered your last question for me much better than I could. This is exactly what I meant by knowing when not to pick a fight. To me, if a teacher is less than super talented in music or pedagogy, I switch teacher. But if she is that good, then her tardiness becomes immaterial, so long as I’ve got 100% of her attention during my lessons. Over the years I also saw some students and parents paying close attention to the minutes when it comes to lessons. Frankly I think it is just silly. Lessons are designed on a hourly basis out of necessity of scheduling, not because students always learn more in 60 minutes than in 45 minutes. Often 20 minutes of intense teaching is much more effective than a 45 minutes or longer lukewarm session. So I prefer to focus on the quality of the time I spend with my teacher rather than quantity. Maybe I'm a fool but I always think mentorship and friendship are not something can be brought by money and an accommodating student is a lucky student in a long run. I guess I'm in the minority, but if I had to choose, I would choose the cool-headed, timekeeping teacher. "If they knew she chronically ran over they should have factored that in"? I doubt they knew it until they were already locked in to a schedule for the semester or the season. At least these days that's how it works where both my kids take lessons. We have our lesson time, it was arrived at by much discussion at the beginning of the school year. Neither of their teachers is chronically late, but if they were, the time for factoring that in would be past. In general I think Yixi makes a good point that you should be tolerant and understanding when others run late. But that really only works when you are the only one being inconvenienced by the lateness. Then sure, bring a book or some knitting or whatever. But what about when my having to wait because of someone's lateness means that someone else in turn--like my babysitter--has to wait for me? Last spring I was teaching a group of students who didn't have much parental involvement in their schoolwork. As I learned more about these kids' lives, I started to find out how complicated their situations were. Parents working two jobs, absent parents--lots of things--but a common thread was parents' lack of flexibility regarding time. It made my au pair situation look easy. It's rather dismaying to think that the price of the "best" teachers could be enough personal or family flexibility to tolerate unpredictable delays. If true, that could go some way to explaining the perception that music lessons are mostly something for the well-off, who can always pay for flexibility if they need it. Yes, my comment "why did she seemingly allow the previous lessons to habitually run over time and their own children's to be interrupted?" was indeed meant to be in the father's mind. I think we need to be as compassionate as possible too in this cruel world. Perhaps this man really was used to being "used" as a low-paid machine in his line of work and then, rightly or wrongly, felt short-changed. Perhaps he was not able to assert himself. Perhaps not so much "boorish" as harried and oppressed. Just another possible perspective. Karen A. makes good points. I can attest from personal experience that personal circumstances are not always easy (understatement!!) and having that not taken into account by others can cause a lot of distress, even worse if you are judged for it. Reading through again I don't think (in his case as presented) it was just about time per se. PS. The other teacher, who was so offended by the clock on the table, could perhaps have chosen to just see it instead as the father's time being up: "You're clock has gone off, time for you to leave now, you must be busy." I completely agree with both of you, Karen A. and Eric. I didn’t mean to suggest schedule matter can be dismissed in all cases. When we run a tight schedule, this type of irregularity will not work and this alone can be a perfect reason for picking and choosing one commitment over the other. But I guess I'm willing to accept the fact that certain professional service providers, such as violin teachers or doctors, they don’t alawys have the luxury to be punctual all the time. So when I schedule my day, I would take this into account. I have no kids and I live in more laidback Wes coast, maybe this is why I can. True, if I am late for a doctor’s appointment by 10 minutes or so, I may have to reschedule. And if I am late for my violin lesson, I get less time. It does seem unfair that these service providers do not stick to their part of the “bargain”. But I refuse to think this way because we cannot reason (or worse litigate) our way out of the reality of dealing with busy and possibly over committed professionals. As the Chinese saying goes, “Mountains don’t move but water does; the land doesn’t move but people do.” Not sure how much has been lost in the translation but I think you get my point. Again, I want to qualify, I'm not judging anyone here, just being hypothetical about possible ways of thinking -- a kind of philosophical discussion that I'm used to do with friends. I think I somehow grew an Aboriginal sense of time (despite no Aboriginal heritage that we are aware of. Although that doesnt mean we don't have it). In that culture, people are renowned for frustrating the pants of western time keepers, because they will spend the time that needs to be spent with the person that needs it the most at that time. So regardless of whether there is an appointment 'scheduled' at such and such for 5 pm, if they are with someone who they deem needs them at that time, they won't go to the appointment. forever, I have been the same way. I have absolutely no concern about not turning up to appointments. and I have no concern when people don't turn up to mine - even though I run my own business and it means that an anticipated income on that day isn't earned, it just happens. When I worked in mental health, I would spend as much time as I felt a family needed, i had to learn to warn any one that had appointments scheduled on a given day that that was a fuzzy logic, and I might be there at any time, I would try to call but might not if I was going to be late. I made sure they understood that I would always give them the time they needed as well. These are all such interesting observations and points! Personally, I am a punctual person and find it stressful when circumstances beyond my control make me late for any kind of obligation. I recall a very stressful drive (from Philadelphia to New York) with my daughter for a morning violin lesson. The New Jersey Turnpike was at a standstill because of an accident so I crept off at an unfamiliar exit and began a slow, byzantine alternate route to New York. Although we routinely left a full extra hour of padding, the 100-mile trip took us almost 4 hours that morning. As luck would have it, however, the teacher (traveling into Manhattan from a far point in one of the boroughs) encountered a similar traffic situation and ended up arriving at the school just when we did. Crisis averted! And thank goodness for text messaging. But if we'd been the only late party, the awful 200-mile round trip would have been for naught and we'd have lost the expensive, prepaid lesson. If only she had been late, we would have waited 3 hours in the city. Karen R, this is meant out of sincere curiosity, not to sound judgemental, but what were your other 3 kids doing during that 4-hour+ drive? I have only 2 kids, but I find juggling just their needs (and mine) makes my even thinking about undertaking anything like that drive you described completely impossible. When my kids were younger and I was working full-time we had an au pair, a girl from Germany who lived with us and provided child care. There are laws about how much au pairs can work: a maximum of 10 hours/day, and 45 total hours/week (meaning you couldn't hit 10 hours every day of the week). While I think these limits are reasonable for a 19-year-old child care worker, I was often bumping up against 1 or the other of those limits, with commuting to and from my full-time job. An occasional traffic snafu was workable, and we paid overtime. But more would have been exploitative, and 3 hours more in one day would have been cause to bring in the community counselor. If that happened repeatedly we would have been in violation of US Labor laws and our au pair could have requested another family or just left. Backup childcare is hard to find and brutally expensive if you don't have family living nearby. I guess there's also the option of bringing the other kid(s) along to the lesson, but what are they going to do for 4+ hours in the car and hanging around waiting while their sister has her lesson? You couldn't even take them out to see the city, because you're supposed to be in the lesson, right? Wouldn't they disrupt the lesson, just because they are kids? At this point, my kids are older and in public school during the school day. I only work part time, and we don't have an au pair anymore. Still, it's vital to me to have a predictable schedule and a 5-minute drive each way to lessons. We also had au pairs when my kids were little (Austria, Norway, and two from Lithuania.) I was relieved when my oldest turned 13 and we could manage with only the occasional extra babysitter. When they were small I dragged the younger girls to the older girls' lessons. I think in a way that accounts for some of their interest in music. As they grew older I left them home alone with an older sibling. We live in an area with public transit, so they became adept at taking busses, trains, and subways. Even so, it was a lot of juggling and driving, as many of the places they needed to go were not on a transportation route. It took a lot of planning between me and my husband. We have two cars among the six of us, so even when they learned to drive there was not always a car available. I did put close to 200,000 miles on our minivan between 2005 and 2011, driving back and forth to New York and driving into downtown Philadelphia and back for zillions of quartet rehearsals and lesson. Now I don't drive nearly as much. My work schedule is flexible-- I teach on certain days and cannot shift those hour around, but otherwise I was able work around their schedules.